This week Mophie has unveiled a new range of universal juice packs which have designed to provide a device charging battery for any situation. The pocket juice packs range in battery size from the small reserve equipped with a 700 mAh battery up to the Powerstation equipped battery with a whopping 4,000 mAh power pack. In between the two is the Boost which is fitted with a 2,000 mAh battery. The small Reserve has been created to provide a keyring backup charging device, while the Boost which is fitted with a swivel 30 pin connector and microUSB port is a mid range charger, with a faster 1A recharging mode. 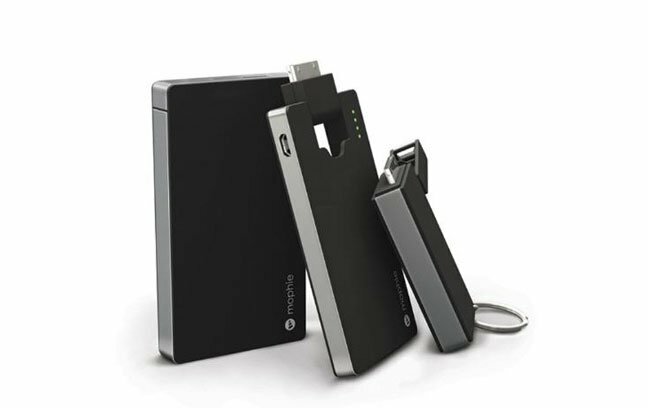 The larger Powerstation battery has been designed to recharge iPods, iPhones, iPads, and anything with a USB charger at 500mAh and either 1A or 2.1A. It can also be recharged while charging other devices. All three will be shipping on September 3oth and will be priced at $35, $50 and $80 for the Reserve, Boost and Powerstation respectively.